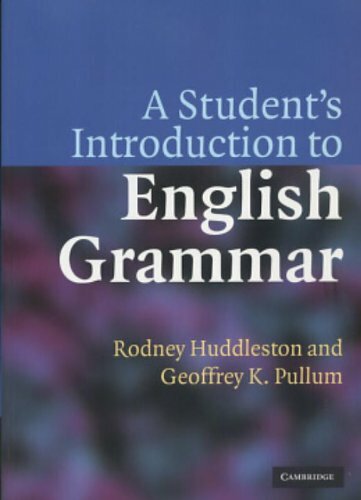 This groundbreaking undergraduate textbook on modern Standard English grammar is the first to be based on the revolutionary advances of the authors' previous work, The Cambridge Grammar of the English Language (2002). The text is intended for students in colleges or universities who have little or no previous background in grammar, and presupposes no linguistics. It contains exercises, and will provide a basis for introductions to grammar and courses on the structure of English, not only in linguistics departments but also in English language and literature departments and schools of education.